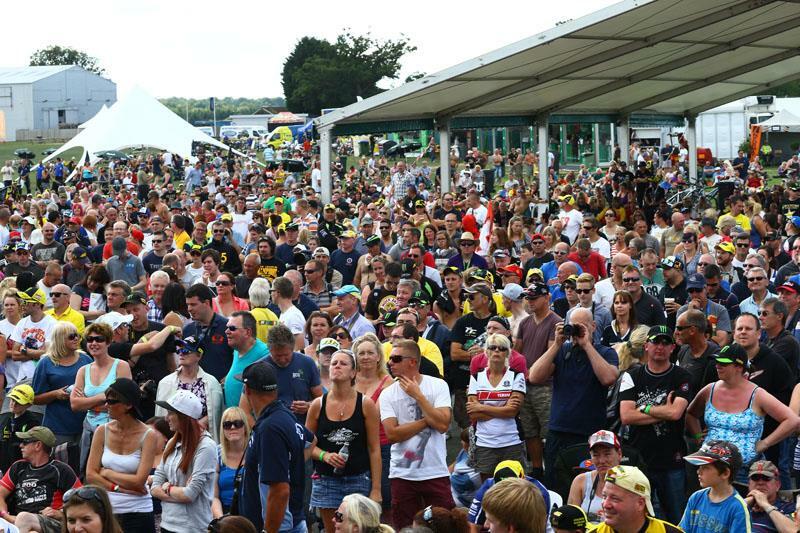 The British Grand Prix's famous Day of Champions has been another stunning success for MCN's charity partner, Riders for Health, raising an incredible £216,249 for the charity. With a full day of activities, including a pit walk, chat shows, a Question of Sport, and a ride-in led by GP star Bradley Smith, there was a full timetable of events taking place. However, as always the highlight of the day was the auction, where 108 lots sold for an amazing £77,090. 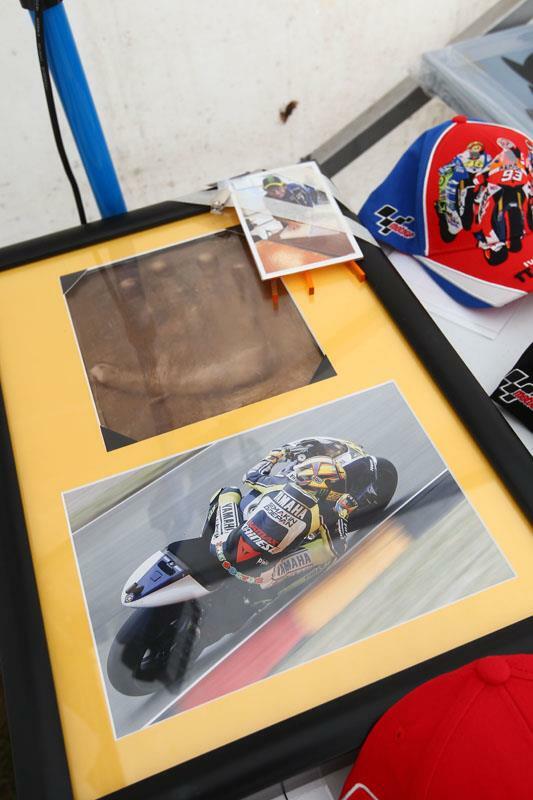 Memoribilia highlights included leathers, gloves and boots from the entire GP paddock, including Cal Crutchlow's Mugello podium champagne bottle and the cap, literally, off of Valentino Rossi's head! In fact, the nine lots provided by Rossi sold for £13,250 in only twenty minutes, adding to the exceptional total of over a quarter of a million pounds Rossi has raised for the charity in the past ten years. 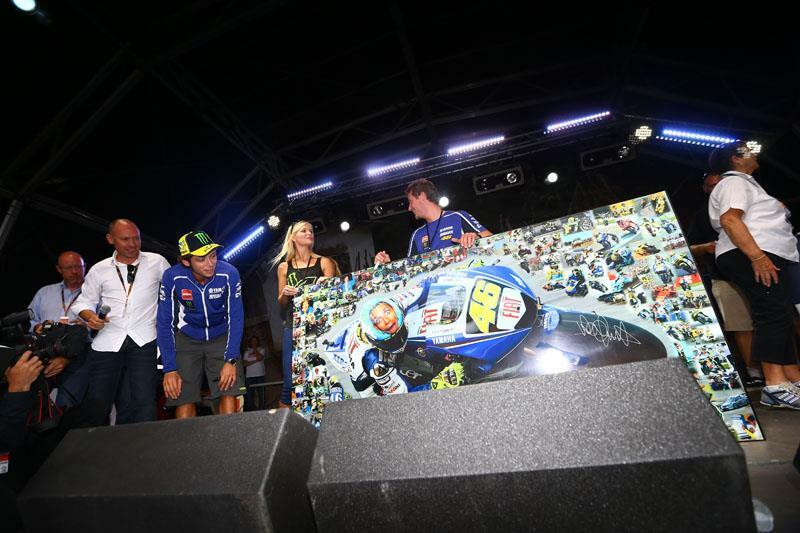 The biggest individual price for a lot in the auction was a Bridgestone race tyre, signed by every rider in MotoGP, which raised £4600. Riders also launched their new competition, the winner of which will receive a money-can't-buy trip to the Valencia MotoGP round, including grid access and tickets to the end of season party. The money raised by Day of Champions allows Riders for Health to provide and maintain motorcycles for health workers in Africa, allowing them to provide healthcare services to remote locations. Riders estimate that they now help provide life-changing care for 12 million people. Day of Champions raises £194,577!